Do your kids love Robots? - Birthday robot cupcakes by Land of Cakes NY are here! 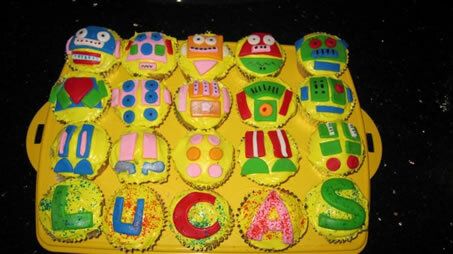 These Robot cupcakes are the perfect birthday party treat for your kids birthday party. Choose from a variety of Robot cupcake designs, flavors and colors. Order your Robot cupcakes today!